Silky 70s(?) 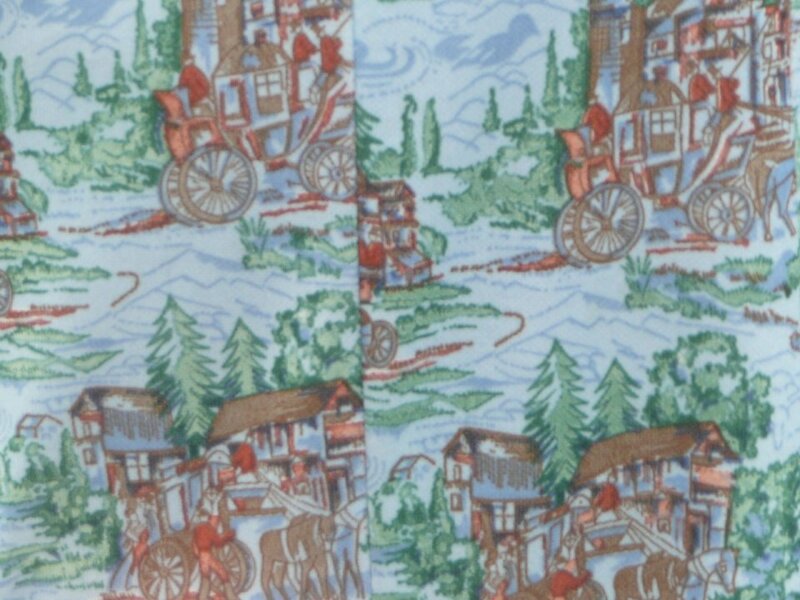 vintage poly dress with coach and horses print. 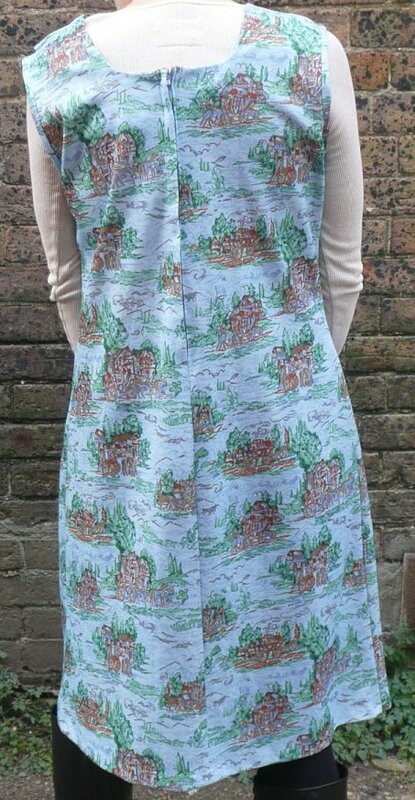 There is something terribly endearing about this little dress, in a faded shade of blue with its coach-and-horses print. Having only the evidence of the dress itself to date it, I feel strongly there is something of the fifties about it, but I quite can't believe it's that old, so I'm playing safe; but whatever its age, it is truly sweet. It's in a silky, man made fabric, with a long (metal) rear zip and statement buttoned shoulders, constructed in six panels. 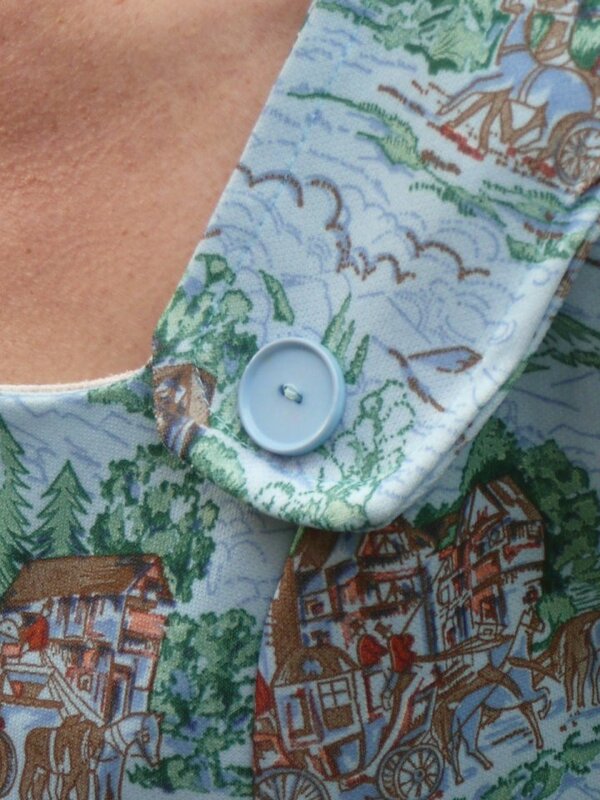 It could be worn as it is, or with a top underneath as a pinafore dress, and will look great with boots - truly, everyday vintage! Approximate measurements are: bust, 43 ins/109 cms; waist, 36 ins/91.5 cms; length overall, 37 ins/94 cms; it will fit up to about a modern UK size 16. There are no labels, and no faults that I can see, either!